Winter is coming, and so does christmas. This is the perfect time of year to introduce the new Wildemasche product: custom knit beanies. 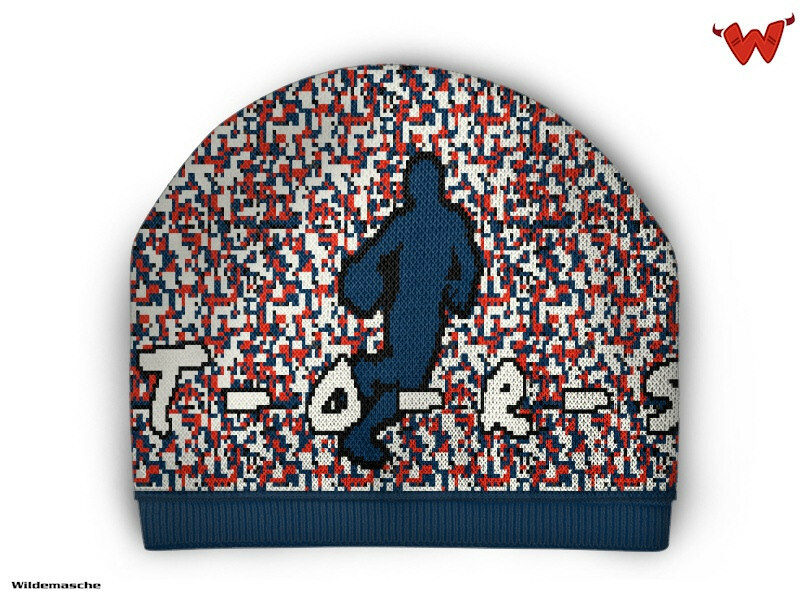 Knitted with up to 4 colors, this beanie can be designed with whatever you like: team names, bars, logos, stripes, player names, cliparts, you name it. As with the football scarves, the colors can be chosen from our palette with 15 soft acrylic yarn colors. The cuff color and the contrast line color above the cuff are knitted in the colors of the first two pixels on the bottom left of the design. 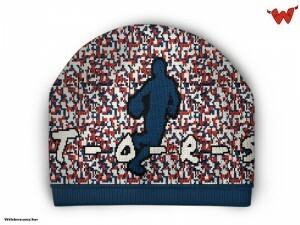 Thus you can also take advantage of this option when creating your online beanie design. The design is knitted in, not printed or embroidered. The knit beanie is perfect for any sort of allover design, together with text and not-too-small logos. 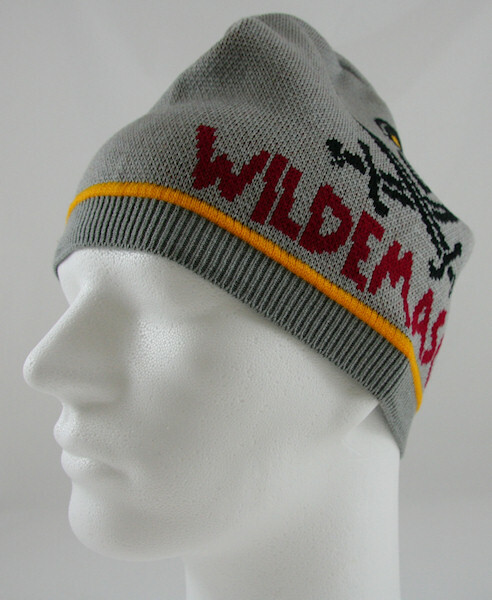 Go visit the Wildemasche homepage to start designing your beanie, or see beanie samples in the gallery. There is NO MINIMUM ORDER QUANTITY. Get your personal design as single custom piece, or order any other amount for your team, fan club, corporate clothing. This entry was posted in Beanie, Designs, News and tagged beanie, Custom beanie, Knit beanie on November 18, 2014 by user2.